The creation of pit lakes is usually an acceptable solution from the landscaping point of view for voids left by discontinued open-pit mines. However, without rehabilitation, these voids represent a potential environmental risk. 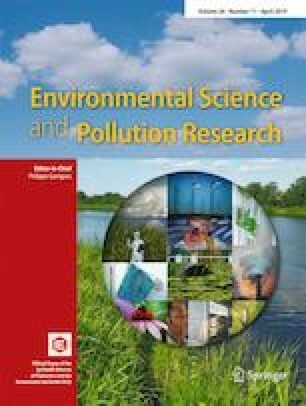 The aim of the present work was to assess, for the first time, the water quality, i.e., physicochemical characteristics, metal and metalloid (MM) content, and ecotoxicity of the waters of the El Cobre Blue Lagoon, a pit lake formed in an open-pit copper mine in Cuba. Potential effects of rainy season vs. dry season and spatial location (different depths) on water characteristics were considered. Results revealed that water contained was moderately acidic (pH = 4.6 ± 0.2), with high electrical conductivity (EC = 3.02 ± 0.03 mS cm−1), whatever the season. Dissolved oxygen (DO = 9.9 ± 2.0 mg L−1), total dissolved solid (TDS = 7003 ± 245 mg L−1), and sulfate concentration (6556 ± 1410 mg L−1) in the El Cobre Blue Lagoon water were above acceptable limits for sources of surface water as recommended by Cuban standard (NC 1021:2014). High copper (43.6 ± 1.7 mg L−1) and manganese (24.1 ± 1.1 mg L−1) contents were detected. Except for EC, sulfates, chlorides, TDS, nitrates, and phosphates, other physicochemical parameters were stable between dry and rainy seasons (p < 0.05). El Cobre Blue Lagoon waters showed an ecotoxicological impact on Vibrio fischeri. No significant differences were detected between all sampling points in the lake for each parameter monitored for a given time. These first results show the spatial homogeneity but poor quality of waters from El Cobre Blue Lagoon. Remediation processes need to be implemented in order to lessen the human and environmental health risk and favor potential water reuse. We suggest the use of constructed wetlands for water treatment. This preliminary research work can serve to alert Cuban local public authorities to the need to rehabilitate such sites. The authors thank the Agence Universitaire de la Francophonie (AUF), Bureau Caraïbes, and the French Embassy in Cuba for providing the research funding (Project “Études des potentialités de remédiation de la lagune bleue des mines de cuivre de la ville d’El Cobre”). Our thanks to the various institutions involved in the project, including the Institut Méditerranéen de Biodiversité et d’Ecologie Marine et Continentale (IMBE), the Institut de Recherche pour le Développement (IRD) and the Laboratoire de Chimie de l’Environnement (LCE) of Aix-Marseille University, France, and the company Geominera Oriente for their support and for helping us to carry out this study. Thanks to Michael Paul for English proofreading of the paper. Many thanks to Lorène Tosini for the realization of the correlogram using R package.